All NNIT’s data centers have achieved full Tier III certification through internationally acknowledged advisory UptimeInstitute. 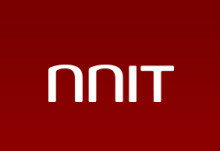 NNIT extends collaboration with the market leader in sustainable energy solutions. ​NNIT will manage operations for the next generation of the public digital infrastructure backbone in one of the world’s most digitized societies. ​NNIT will deliver full stack of corporate IT services to NNE who is experiencing growth with focus on the international life science industry. NNIT enters into a 6-year-agreement with Novo Nordisk, replacing and extending an existing infrastructure outsourcing contract between the two parties, covering global services including support and maintenance of Novo Nordisk’s corporate IT infrastructure. Basically, digital transformation is about developing the organization in order to ensure that it is still competitive and relevant to the clients. Participate in NNIT Exepectation Barometer and tell us how your organization is handling the digital transformation. Shortly before Easter NNIT A/S has entered into an agreement with DSB making use of the option of a two-year extension of the existing outsourcing contract between the parties covering support and maintenance of DSB’s entire IT infrastructure. NNIT will manage the entire IT infrastructure at e-nettet, the supplier of shared IT systems in the Danish financial sector. A new contract between DSB and NNIT worth around 600 million DKK over the next five years. DSB is transferring its IT services, which has been operated and managed by approximately 100 employees. It is the first time that DSB has outsourced its IT services, which NNIT will take over along with approximately 50 employees.